Packages are seen on a doorstep in this undated file photo. LOS ANGELES (KABC) -- The U.S. Postal Service estimates it will deliver more than 15 billion pieces of mail this holiday season. Here are some tips to keep those items safe. The USPS says the Postal Inspection Service is working around-the-clock to keep shipments safe and deter mail and parcel theft. The Postal Service offered these 10 secure shipping tips to ensure that your packages reach their destinations. 1. Avoid sending cash by mail. Checks and money orders are safer than cash and may be canceled or reissued in the event of theft. 2. Don't leave delivered mail and packages unattended. Just as wallets and purses shouldn't be left on the front seat of an unlocked car overnight, mail and packages shouldn't be left uncollected in mailboxes or on front porches for any length of time. 4. Change the package's address - while it's in transit. Customers who know they won't be home when their package is delivered can try USPS Package Intercept. Prior to delivery, most domestic package shipments can be redirected back to the sender, to a new address or to a post office to be held for pickup. Arcadia police say a recent UPS delivery robbery is unfortunately part of the holiday season, but thanks to a successful program, the local theft rate is decreasing. 5. Customize the delivery. If the package doesn't fit in the mailbox and the customer won't be home to receive it, the customer can provide delivery instructions online and authorize the carrier to leave it in a specified location. Visit usps.com, enter the tracking number and select delivery instructions. 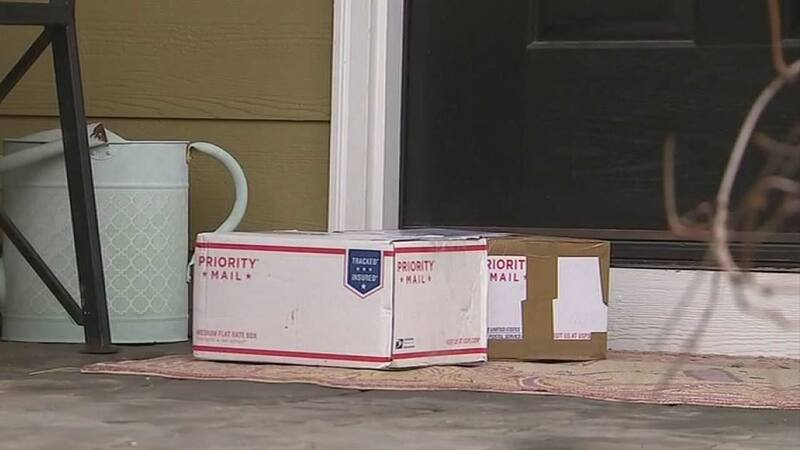 Customers can also request their packages be left with a neighbor or held at a post office for pickup. 7. Going out of town? Hold mail at the local post office. Instead of risking leaving a package unattended for an extended period of time, customers planning on being away from home for a few days are encouraged to take advantage of the Request Hold Mail service. Letters and packages will be held securely at the local post office until the customer's return. 9. Choose the most secure form of delivery. For the most valuable packages, customers can opt for Registered Mail service. Registered Mail receives special handling from the time it's mailed until it's delivered, documenting the chain of custody. 10. P.O. Boxes might be the answer. Customers concerned about the security of their mail can consider renting a P.O. Box at their local post office. The mail remains secure within the post office, accessible only when using the right key or combination. Many post office lobbies are open 24/7, allowing customers to retrieve mail on their schedule.